The University Libraries’ email newsletters feature the resources, services, and people who can make your academic life easier. Interested? 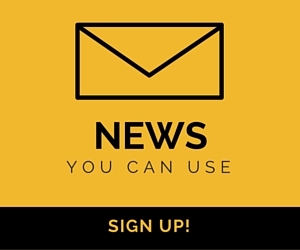 Sign up for our newsletters and get Mizzou Libraries delivered to your inbox, just when you need it. We’ll email no more than weekly, and you can unsubscribe anytime. Get a weekly digest of information and posts from all the MU Libraries, providing a snapshot of everything in your information landscape. View a sample of All the Latest from Mizzou Libraries. We’ll bring you weekly information on workshops, training sessions, presentations, lectures, exhibitions, and more. Never miss another opportunity to take advantage of everything your library offers. View a sample of Workshops and Events. Events, resources, and news from your librarians at the Health Sciences Library. Want to keep up with the amazing world of Special Collections? Get a personal tour every month, curated for you and delivered to your inbox. View a sample of Special Collections News.